Hand-woven from sturdy VN calf leather, this compact document case features multiple carrying options and wallet functionalities. 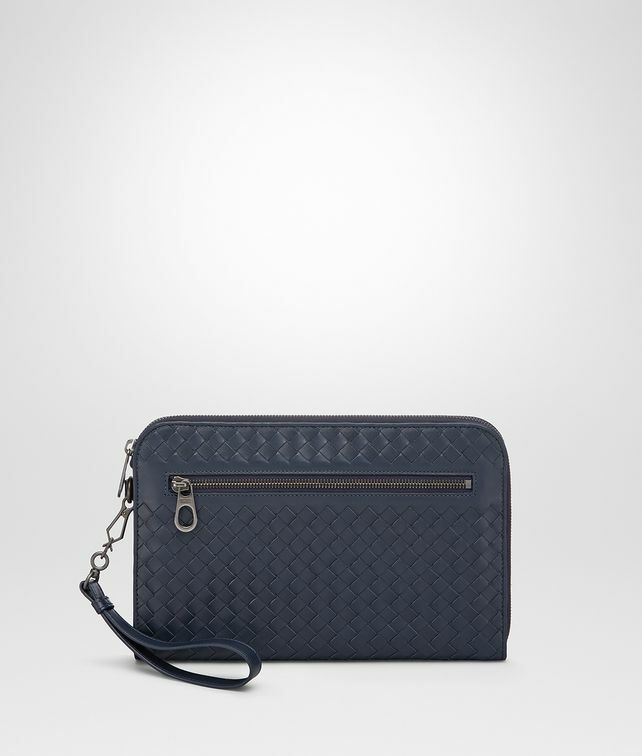 The cotton-lined interior has an expandable side and is fitted with a padded section for high-tech devices, six credit card slots and two flat pockets. The external zip pocket adds extra storage space. Carry it by the practical wristlet or slip it in a briefcase.